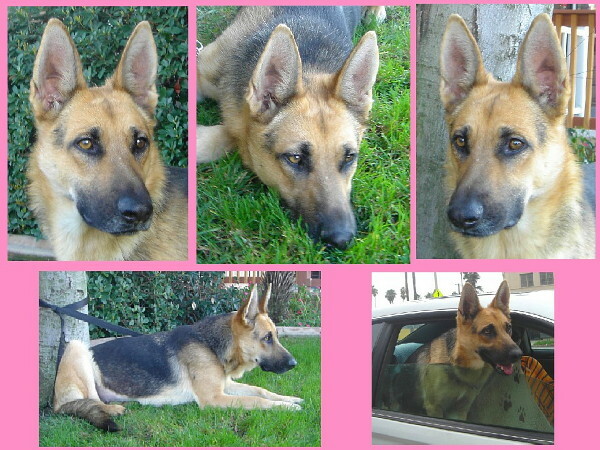 Ally von Brink is an adorable 10 month old classic German Shepherd. She is an absolute delight, full of energy and affection typical for a happy puppy. She gets along with dogs of all shapes and sizes and we think she would do well with another dog in the home for a playmate. Even though Ally is wonderful with people, she hasn't grown out of her puppy mouthiness yet, so we want to place her with a family without very young children. She still has a little bit of growing and filling out to do and we think she will be about 60 lbs when fully grown. Here is another wonderful opportunity for those people who would like a shepherd in a smaller package. Ally is a sweetheart.